Much like a city represents an equilibrium between processes of building construction and demolition, coral reefs are the net result of processes that form calcium carbonate (calcification) and those that take it away (physical and biological erosion). The resulting reef framework is quintessential to coral reefs, forming the habitat for tens of thousands of reef species. This chapter examines the major forces that control this equilibrium state, examining the physical, chemical and biological forces that are involved. 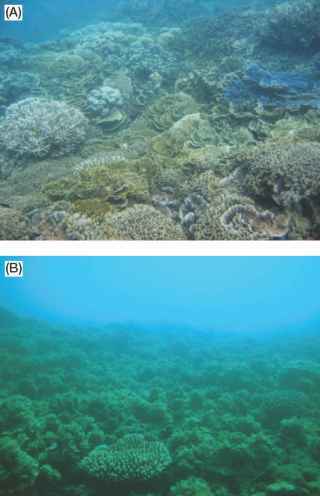 It also investigates the role that humans have in influencing these processes, highlighting the large scale effects of both local (eutrophication, land runoff) and global (global warming, ocean acidification) factors on reef structures. Some of these issues will also be discussed further in Chapter 10.